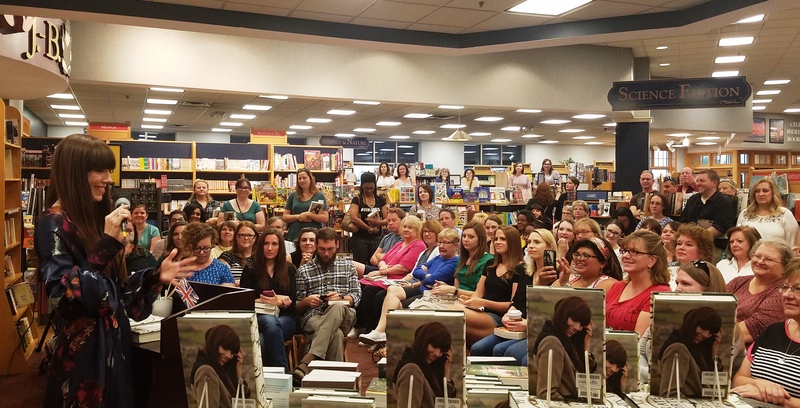 August bookstore sales dipped 1%, to $1.32 billion, compared to August 2017, according to preliminary estimates from the Census Bureau. For the year to date, bookstore sales were $6.678 billion, down 0.6% compared to the first eight months of 2017. 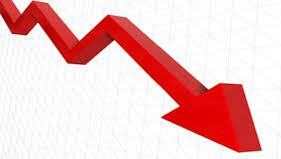 Despite many months this year with strong gains, including February, March, June and July, the slight loss for 2018 so far is largely attributable to January results, when bookstore sales fell 8.6%. Total retail sales in August rose 6.7%, to $525.3 billion. For the year to date, total retail sales have risen 5.7%, to $3,954 billion. 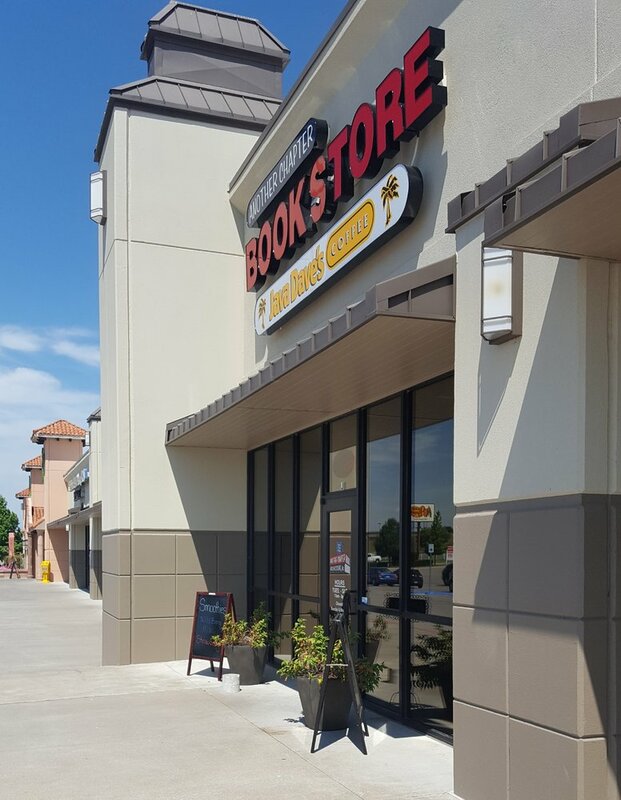 Another Chapter Bookstore, Owasso, Okla., will close November 15. Owner Karen Barros told the Reporter that "she feels bookstores like hers have become a rarity in an age where people can now rely on smartphones and tablets to access an unlimited number of titles with the flick of a finger." Barros, who opened her bookshop two years ago, said, "Amazon was my biggest competitor because people have to have it online... we're in a society of 'get it now,' and I understand that. Audio is big (too). A lot of people are listening to books on audio because you can get them for next to nothing." She offered advice for people in smaller communities like Owasso: "I encourage local book readers to get that real book in their hands. Having a real book in your hand is an adventure, it takes you places that you normally don't get to go, and it takes you on a destiny." Barros added: "I have made some amazing connections. Some of the people I have met through this adventure have been just incredible. I feel very blessed to have met (them). It's been an amazing journey. I feel like I have grown as person." 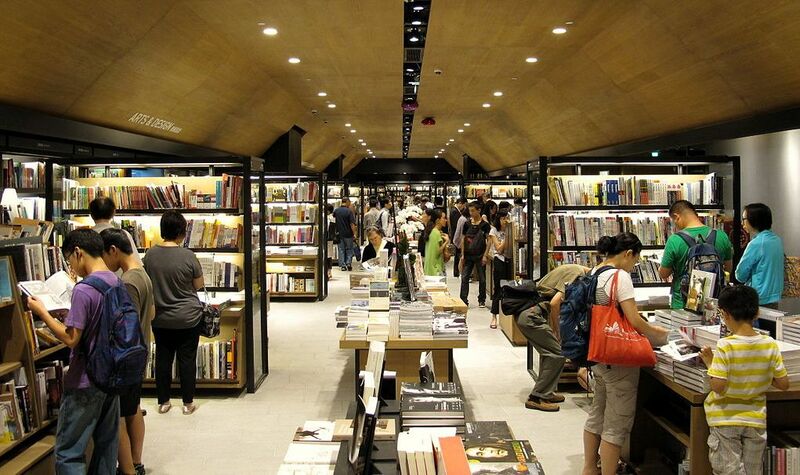 The first Eslite bookstore outside of Chinese-speaking countries will open in partnership with Japanese bookseller Yurindo Co. in Tokyo's Nihonbashi district next fall, Focus Taiwan reported. The 2,970-square-meter (about 32,000 square feet) store will be on the second floor of a building under construction close to Tokyo Station and will feature books, crafts and a dining area. Customers will be able to sample Taiwanese food and try making traditional Taiwanese crafts, NHK World-Japan noted. "The developer of the building has been working with the Japanese government and private sector to revive Nihonbashi since the late 1990s through new construction projects, hoping to integrate new businesses with traditional culture," Focus Taiwan added. The New Academy Prize in Literature 2018 was awarded to Guadeloupean author Maryse Condé, who will travel to Stockholm for a formal event with a grand celebration on December 9. 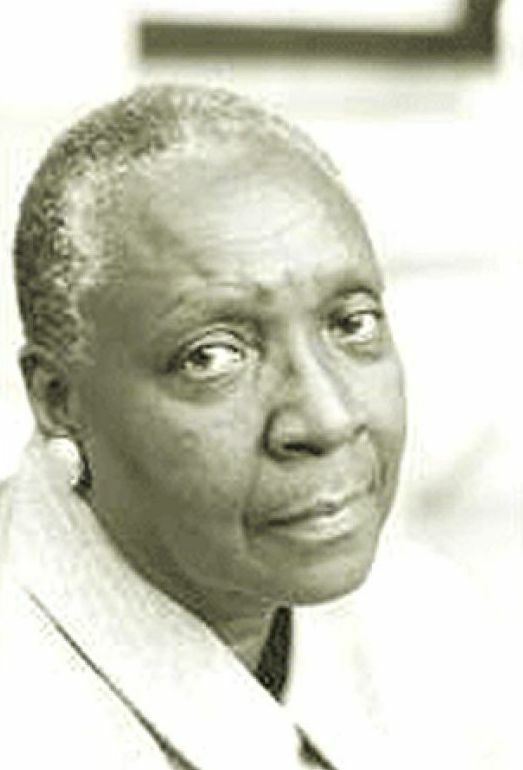 She has published some 20 novels, including I, Tituba, Black Witch of Salem; Tales from the Heart: True Stories from My Childhood; Windward Heights; Victoire: My Mother's Mother; and Who Slashed Celanire's Throat? Chair of judges Ann Pålsson praised Condé as "a grand storyteller. Her authorship belongs to world literature. In her work, she describes the ravages of colonialism and the postcolonial chaos in a language which is both precise and overwhelming. The magic, the dream and the terror is, as also love, constantly present. Fiction and reality overlap each other and people live as much in an imagined world with long and complicated traditions, as the ongoing present. Respectfully and with humor, she narrates the postcolonial insanity, disruption and abuse, but also human solidarity and warmth. The dead live in her stories closely to the living in a multitudinous world where gender, race and class are constantly turned over in new constellations." The New Academy Prize in Literature was created earlier this year by more than 100 Swedish writers, actors, journalists and other cultural figures in response to the Swedish Academy's decision not to award a 2018 Nobel Prize in Literature in the wake of a highly publicized scandal. The New Academy will be dissolved in December. "I am very happy and proud to be awarded this prize," Condé said. "But allow me to share it with my family, my friends and, above all, with the Guadeloupean people who will be so thrilled and touched by seeing me receive this award.... Guadeloupe is a small country, important to us who are born there, but only mentioned when there are hurricanes and earthquakes. I am happy that our country is now known for other reasons, for this literature prize which I am so happy and proud to receive." Robert Bausch, "an acclaimed Virginia teacher and writer whose nine novels won praise for their subtle blending of humor with ominous threads of violence and family fault lines," died October 9, the Washington Post reported. He was 73. Bausch "spent most of his career teaching in Northern Virginia and, for a time, even shared an office at George Mason University with his brother" and fellow novelist, Richard. As a writer, Robert Bausch "defied easy classification: His novels and short stories were sometimes set in historical times and sometimes in the recent past; they could be starkly realistic or veer into fantasy; they could be comic, violent and tragic, seemingly at once," the Post noted. His books include On the Way Home (1982), Almighty Me (1991), A Hole in the Earth (2000), The Gypsy Man (2002), Out of Season (2005), Far as the Eye Can See (2014), and In the Fall They Come Back (2017). Bausch received a statewide award in 2013 as one of Virginia's leading college professors, and in 2009 he was honored with the John Dos Passos Prize for Literature from Longwood University for his body of work. Kate Morton visited Joseph-Beth Booksellers in Cincinnati, Ohio, last week for her new novel, The Clockmaker's Daughter (Atria). Almost 200 fans enjoyed an English countryside photo booth, as well as a specialty drink menu that included a "London Fog Latte" and "The Bramble." A hexing event planned for this coming Saturday evening at Catland Books, a metaphysical bookstore in Brooklyn, N.Y., is already casting a spell: it's become the subject of many media stories in the last week. The hex will be placed on new Supreme Court Justice Brett Kavanaugh "and upon all rapists and the partriarchy which emboldens, rewards, and protects them," the store wrote in its invitation to the sold-out event. "We will be embracing witchcraft's true roots as the magik of the poor, the downtrodden and disenfranchised and its history as often the only weapon, the only means of exacting justice available to those of us who have been wronged by men just like him." Catland added that Kavanaugh is "by no means the only target, so bring your rage and and all of the axes you've got to grind. There will also be a second ritual afterward--"The Rites of the Scorned One" which seeks to validate, affirm, uphold and support those of us who have been wronged and who refuse to be silent any longer." Tickets to the event are $10, and half of that will go to Planned Parenthood and to the Ali Forney Center, an LGBT community center. On Sunday on MSNBC, Amy Kremer, co-founder of Women for Trump, cited the hexing event as one of many indications that this is a "scary time" for Republicans, the Washington Post reported. Event organizer Dakota Bracciale told Time, "We're raising visibility and letting people know they're not alone with the monsters. 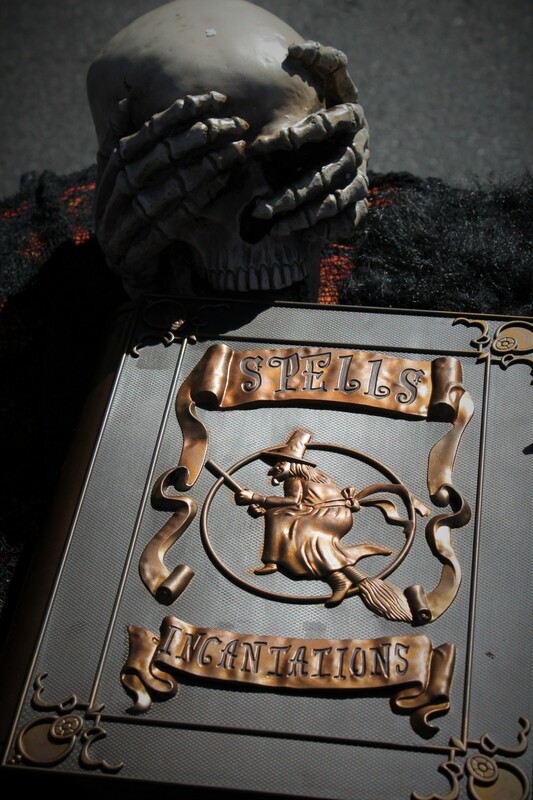 Even the witches are coming out of the woodwork to stop this." The store, whose regular events include Yoga for Witches, Plant Magik 101, Working with Goddesses, and Potions and Tinctures, may add more hexing events after this one sold out. 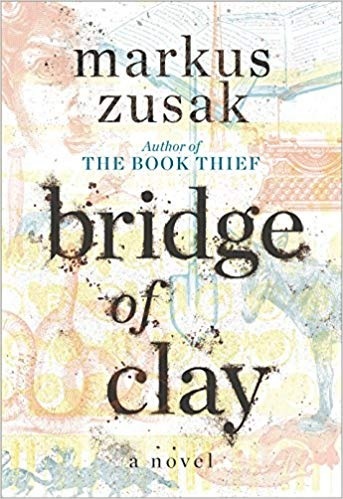 "Like everyone else who fell in love with the book The Book Thief, I was beside myself with excitement when I learned that, after a decade, Markus Zusak had a new book coming out: this month's book buyer's pick, Bridge of Clay. "Moving back and forth through time, the book tells the story of the Dunbar boys and their parents. At the center of it all is Clay. When he decides to help their father 'the murderer,' it puts him, his siblings and their father on a path to understanding and redemption. "In short, it was worth the wait." Devin MacDonald has joined the company as marketing manager. She was most recently series brand manager for Harry Potter, Captain Underpants, and Dog Man at Scholastic. Audrey Gibbons has been promoted to publicity manager. Jill Hacking has been promoted to marketing operations and events associate from retail marketing coordinator. Amy Hendricks has been promoted to marketing associate. Samantha Benson has been promoted to associate publicist. Francie Crawford has joined the company as marketing & publicity assistant. Morgan Vogt has joined Sourcebooks as marketing associate. 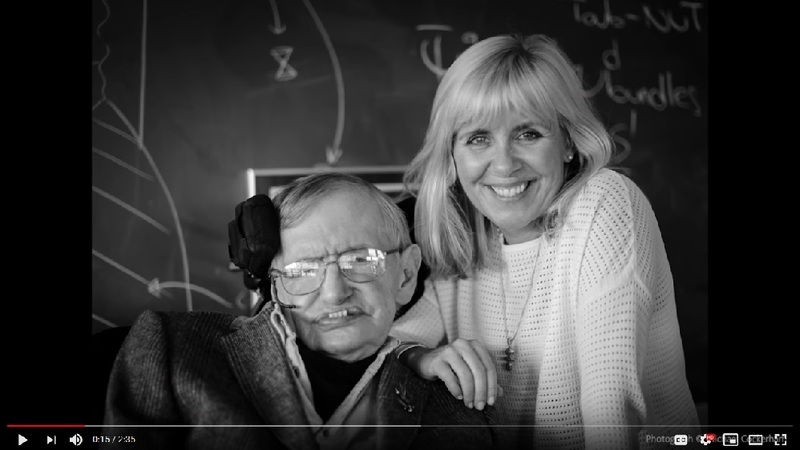 Brief Answers to the Big Questions by Stephen Hawking (Bantam), a trailer featuring Lucy Hawking, daughter of the late author. This is his final book. CBS This Morning: James Clear, author of Atomic Habits: Tiny Changes, Remarkable Results: An Easy & Proven Way to Build Good Habits & Break Bad Ones (Avery, $27, 9780735211292). NPR's Here & Now: Pete Souza, author of Shade: A Tale of Two Presidents (Little, Brown, $30, 9780316421829). Fresh Air: Jarrett J. Krosoczka, author and illustrator of Hey Kiddo: How I Lost My Mother, Found My Father, and Dealt with Family Addiction (Graphix, $14.99, 9780545902489). Today Show: Busy Philipps, author of This Will Only Hurt a Little (Touchstone, $26.99, 9781501184710). She will also appear on the Late Show with Stephen Colbert. Bloomberg Markets: Doris Kearns Goodwin, author of Leadership: In Turbulent Times (Simon & Schuster, $30, 9781476795928). Daily Show: Julian Castro, author of An Unlikely Journey: Waking Up from My American Dream (Little, Brown, $28, 9780316252164). He's also on CBS This Morning tomorrow. My Sister, the Serial Killer: A Novel by Oyinkan Braithwaite (Doubleday, $22.95, 9780385544238). "Nigerian nurse Korede puts up with so much from her sister Ayoola (the serial killer). Braithwaite tells a dark, lively, and funny story of how begrudgingly cleaning up after someone else's deadly habits is just one of those things one does for family. For fans of satirical humor." --Lisa Hoffman, Bloomfield Public Library, Bloomfield, N.J. The Adults: A Novel by Caroline Hulse (Random House, $26, 9780525511748). "Divorced couple Claire and Matt devise a terrific idea for Christmas: spend it at Happy Forest Holiday Park with their new partners and their seven-year-old daughter Scarlett (and her imaginary friend). Hilarious and heartrending, this debut novel asks the age-old question: 'What could possibly go wrong?' " --Todd Krueger, Baltimore County Public Library, Towson, Md. The Colors of All the Cattle: No. 1 Ladies' Detective Agency by Alexander McCall Smith (Pantheon, $25.95, 9781524747800). "Each new book in this series unwraps another layer of the lives of the minor characters. Along with solving the requisite mystery, Precious delves into local politics and comes to rely more on her family and friends for their input. A charming addition to this heartwarming series." --Fran Hegarty, Peabody Institute Library of Danvers, Danvers, Mass. Empire of Sand by Tasha Suri (Orbit, $15.99, 9780316449717 ). "A modern take on the classic Disney tale of Mulan, this fantasy-adventure story features Mehr, a governor's daughter who wants to make a name for herself and is passionate about saving the lives of those in her kingdom. Mehr's unique magical powers make her a target and give the classic storyline a new twist." --Megan Marong, Lackawanna Public Library, Lackawanna, N.Y.
How Long 'Til Black Future Month: Stories by N.K. Jemisin (Orbit, $26, 9780316491341). "This first short story collection from the most celebrated speculative fiction author of our time features her signature blend of sharply observed, provocative tales of magic steeped in realism and social commentary. Both SFF fans and adventurous readers of genre-blending literary fiction such as Station Eleven and The Underground Railroad will find much to admire." --Annabelle Mortensen, Skokie Public Library, Skokie, Ill. The Kinship of Secrets by Eugenia Kim (Houghton Mifflin Harcourt, $26, 9781328987822). "A sweeping, historical, family saga in which two sisters are separated during the Korean War. One is raised in the United States and the other in South Korea. For fans of Pachinko." --Cat Ng, Palm Beach County Library System, Wellington, Fla.
A Ladder to the Sky: A Novel by John Boyne (Hogarth, $27, 9781984823014). "Enter the disturbing world of high stakes publishing and meet an author so twisted and unscrupulous you will beg for justice. For readers who like an unlikeable character and sardonic tone." --Kimberly McGee, Lake Travis Community Library, Austin, Tex. Newcomer: A Mystery by Keigo Higashino (Minotaur, $27.99, 9781250067869). "Newly transferred Tokyo Police Detective Kaga is assigned a baffling murder. The story is told almost entirely through the perspective of people he interviews, gradually revealing the puzzling who, how, and why in this mystery. For fans of Sherlock Holmes, Agatha Christie and Columbo as well as lovers of international crime novels." --Julie Graham, Yakima Valley Libraries, Yakima, Wash. Someone to Trust: A Westcott Novel by Mary Balogh (Berkley, $7.99, 9780399586101). "Love defies societal expectations in this historical romance set in the Regency period. For fans of Tessa Dare and Amelia Grey." --Kathy Setter, Indianhead Federated Library System, Eau Claire, Wis.
That thesis is best illustrated in Geary's discussion of puns. Though most people have been taught to regard this form of wordplay as the lowest form of humor, Geary has a particular affinity for the talent it takes when one "folds a double knowledge into words." Citing their prevalence in Shakespeare (with an average number of 78 per play) and the Bible, as well as Abraham Lincoln's special fondness for them, Geary argues that puns illustrate "the essence of all true wit--the ability to hold in the mind two different ideas about the same thing at the same time." Geary shows off some of his own cleverness in style--or, more accurately, the multiplicity of styles he's chosen here. Between the opening chapter and the acknowledgements--both written in the manner of Alexander Pope's rhymed couplets--he plays with a variety of literary forms. This includes conventional essays, sermons, scientific papers, the African American game of traded insults known as "The Dozens" and a dramatic dialogue between the 18th-century French playwright Denis Diderot and political thinker Madame de Staël. Geary even touches on the subject of artistic wit. A chapter delivered as if it were an art history lecture, and accompanied by a handful of illustrations, discusses "ambiguous figures." The work of 16th-century Italian artist Giuseppe Arcimboldo in the trompe l'oeil tradition, for example, is "an elaborate visual pun, placing in the mind two different images of the same thing at the same time." To that end, Geary cites the portrait The Admiral, painted out of the images of fish and crustaceans. 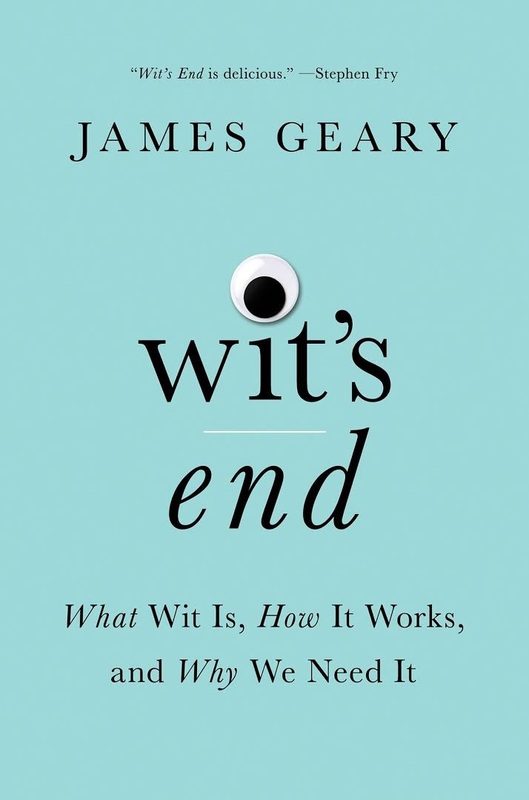 Shelf Talker: From varying perspectives and in an array of literary styles, word maven James Geary explores the gift of wit.